Marmaris is known as the jewel of Turkey’s Turquoise Coast and also considered the best vacation destination for tourists who seek a perfect getaway spot while enjoying the local hospitality, restaurants, bars and pubs. Marmaris boasts of a great value holiday every time of the year with a lot of fun things to occupy tourists who chose this amazing resort town as their vacation spot. Marmaris is a cosmopolitan resort town with loads of great destinations where one can enjoy a wide range of water sports, sharpen your haggling skills at the lively bazaar market, and a wonderful nightlife. 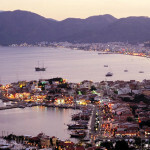 Marmaris holidays is well known amongst couples, families and groups who love the vibrant life on the Turkish Riviera. Marmaris is over an hour drive from Dalaman airport, which can be easily reached by flights from major cities around the world. This beautiful resort town is filled with crystal clear waters and lovely pale sand beaches. 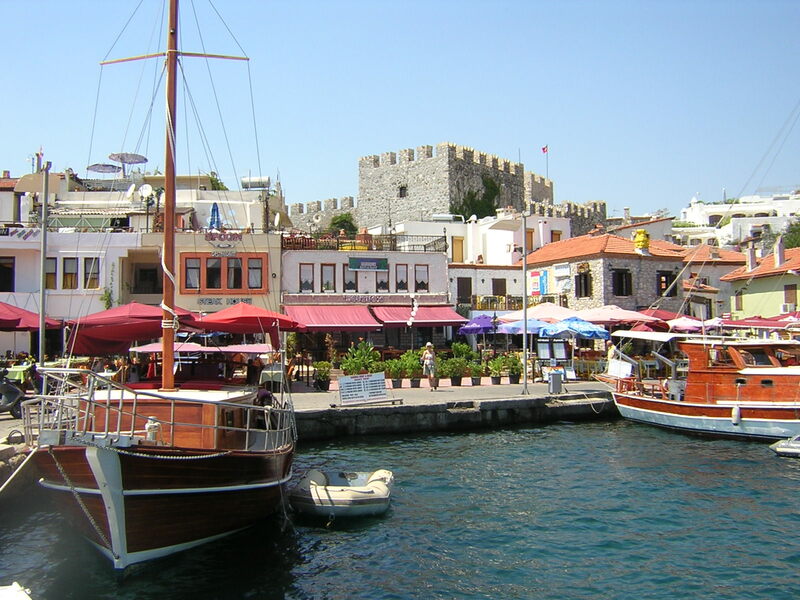 There are plenty of things to do and places to see while in Marmaris. One of the best and exciting ways to explore the lovely town of Marmaris is by jeep. There are several tours and safaris that can take you to see some of the magnificent scenery from most of the main tourist attractions. After fully exploring the Marmaris castle or experiencing fun at the beach, get pampered in a traditional Turkish bath. Marmaris Beach is a must visit if you are planning on visiting Marmaris for your holidays. The beaches offerastonishing views of the mountains surrounding the town. It is a perfect place for swimming and diving for both beginners and experts. You can also decide on hiring a private yachtwith full crew on board to prepare and serve you with delectable traditional Turkish dishes while cruising. 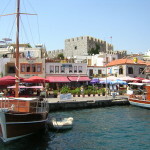 Take a half hour trip to the astounding island of Rhodes via ferries. This is an amazing tourist destination to spend a full day while admiring some interesting historical sites. Another great place worth visiting is the Caunos where you’ll explore ruins of the ancient city and treated to the famous Turkish bath that is great for your skin. Lovers of food won’t have any issues with food while on a Marmaris holidays. There arenumerous restaurants that offer both local and international cuisines you can think of. There are also a wide variety of exotic wines that’s worth trying out. This is a remarkable vacation destination for food lovers as well. 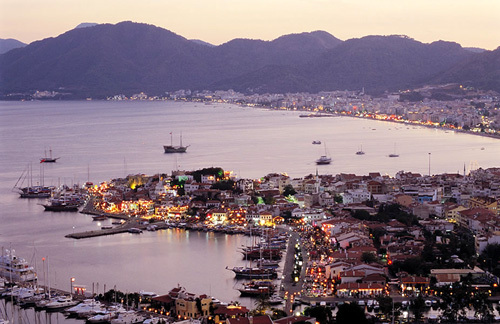 Marmaris holidays offer a vibrantnightspots with everything from drag shows to karaoke. Majority of the clubs and bars in Marmaris are all open till 4 am. If you still have a little energy on you after much fun at the club, you can continue with the fun on boat till sunrise. For couples, you can decide on taking a moonlight cruise where you have the opportunity to spend quality time together while drinking and dancing under the stars. There are quite a number of hotel accommodations in Marmaris where you can relax and unwind. 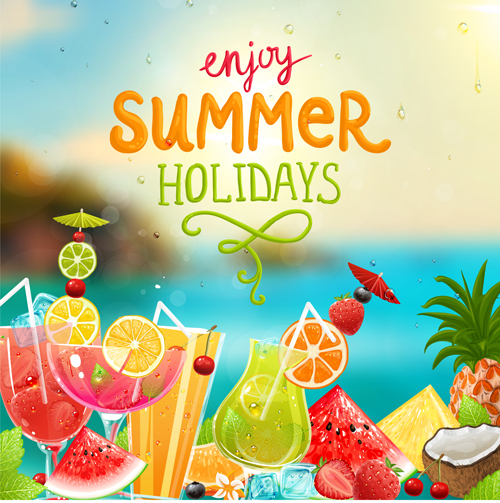 Whether you are thinking of having a party-filled trip with group of friends or looking for some adventurous water sport activities, visiting Marmaris for your holiday will never be short of fun.